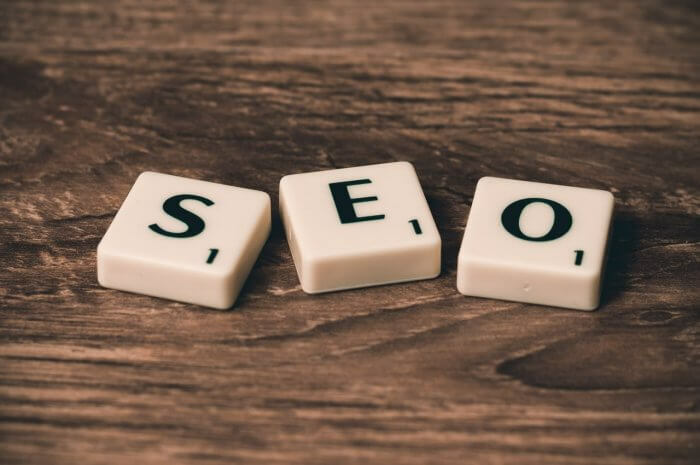 Top SEO Trends That You Should Consider in 2018! Today, almost every company of venture, even the smallest ones have websites. That’s why such owners should think about SEO since today it is almost impossible to promote certain product or service on the internet without it. Each year, this field experience certain changes and modifications. It might be difficult to predict what might happen in 2018 but we will try to forecast these changes with regard to the modification of 2017. As well as in 2017, the new trends of 2018 are still providing both new and regular visitors with high-quality, interesting and unique content to help them solve their problems or answer the questions. The visitors should be interested in a promoted website and spend there as much time as possible. It will result in a higher ranking in search systems. Concerning keywords, it should be 1-2 keywords in a post with word count up to a thousand. Google has already announced that websites that use the secure protocol will be shown above those who use the HTTP protocol. Practically, it is difficult to notice any significant changes but users already admitted that their position in search systems dropped sharply. However, it is already officially announced that in 2018 all websites that process personal data of users without an installed certificate will be considered as dangerous ones. Therefore, if you are still using HTTP-protocol, it’s time to think about switching to https. Already in 2015, the number of mobile requests in search systems exceeded the number of desktop requests in several countries, including the United States and Great Britain. That’s why Google started using the mobile-first index. It means that when a website will be evaluated mobile requests will have a higher level of priority other than desktop ones. That’s why it is necessary to pay special attention to the mobile version of a website. the mobile version must be verified by Google Search Console. Those who don’t have a mobile version of a website don’t need to worry since desktop one will be indexed anyway. However, the ranking will be lower than those websites which have both mobile and desktop versions. Content optimized for mobile devices will be ranked higher in search request but a website should not be fulfilled with the advertisement. Therefore, no huge banners or pop-up windows are allowed since, despite the fact that a website is well optimized and have both mobile and desktop versions, it will lose its position. It is impossible to consider mobile versions without mentioning AMP or Accelerated Mobile Pages or briefly, a mobile version of a website will work faster including the downloading of files. This project should blur the difference between mobile websites of different quality and facilitate the development of mobile versions in the future. Thanks to the facts that YouTube and other video sources are much propagated, any website owner can benefit from personal video channel and attract new visitors. The image search now allows mobile users to search for the necessary product just clicking on the image. It is a crucial feature for the trading website since now it is much easier to find a certain product on the internet. The markup scheme ameliorate processing of a website by search systems and therefore will have a higher ranking. It is primarily concerned snippets shown searching for recipes, music, movies, etc. In order to properly design the pages of a website, use the semantic micro-markup that appeared in HTML 5.
update all the posts with relevant and unique images. However, there is one significant disadvantage. A user can read all the information from the description without visiting a site. In order to prevent it from happening, keep the most relevant information of a website to force a user to visit a website. Social networks always played a significant role in promoting. The posts that are massively liked and reposted are more actively indexed by search bots. In particular, Google prefers those websites that have been added to Google+ and increase their ranking. In addition, social networks are favorable for the website promotion including both services and products. Social networks also can be involved to attract new visitors in order to improve activity on a website and thus increase its ranking. It is connected with a fact that by means of social networks people will start discussing posts or other updates on a website, liking, commenting and reposting. The RankBrain system was released by Google in 2015 and was actively used in 2016 and will be used in 2018 since it significantly increases the ranking of a website. This system allows people to find relevant pages with necessary content on the internet. There is only one reason RankBrain session can fail. It is based on a content. In order to benefit from this system, the content should be relevant and written by people since automatically generated texts can automatically decrease the ranking of a website. While new search optimization trends appear other disappear thanks to the continuous development of this field. For example, the previous trend the more links the better is now substituted by the more legal and efficient ways of the website promotion by means of social networks for example. Such things like spamming or black SEO now are not valuable anymore since they led to the ban or other unpleasant consequences. In general, there won’t be any significant changes in 2018 or at least there wasn’t any news of updates witnessed about any changes. In order to attract new visitors, the website owners should keep the quality of content on the high level since it influences many crucial factors like ranking, operation speed etc. Don’t forget about a mobile version of a website since Google bank on mobile users’ requests. Social networks favorably influence the number of visitors of a website and improve the activity on it thanks to people’s intention to discuss and share information. The author’s name is Melisa Marzett. She is a professional writer with high-level writing skills to write the papers on various topics regardless of the difficulty and the deadline. Her hobby is to write gratuitous posts on various topics like this one. Currently, she works on http://getessayeditor.com as a freelance writer continuously developing her skills and knowledge. Follow the link in case if you need such kind of help.